After hearing such fantastic things about the capital of Hungary, it was finally my turn to visit Budapest. Georgia from Mapped Out blog and I headed off for four days of fun over the August bank holiday weekend, and we were both thrilled when the city lived up to the raving reviews/our expectations. 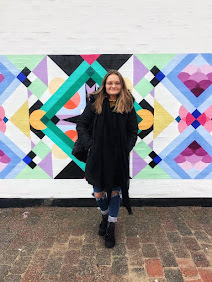 It's taken a while to write this up but I'm hoping to have a lot more travel content up soon! We had booked the Hotel Museum Budapest which is located in the Jewish quarter of the city. Less than an hour away from the airport, and a 10 minute stroll from the centre of town, this hotel was amazing. The hotel was clean, our room was spacious and it wasn't too expensive (£100 each roughly for 3 nights). I'd definitely recommend it if you're looking for somewhere to stay. 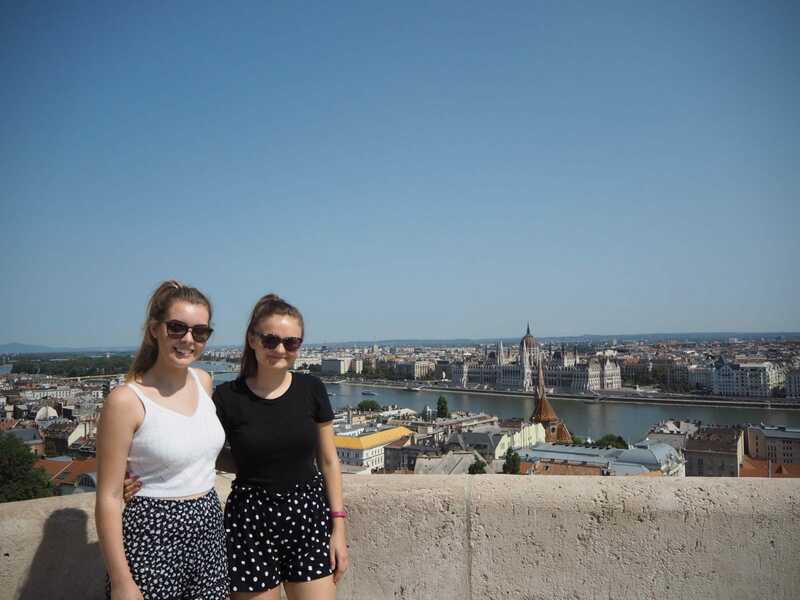 There is a lot to see in Budapest, and four days felt like the perfect amount of time to cover everything we wanted to. We headed up to the Parliament Building on our first day, which is a spectacular building on the Pest side of the city. On the way there, you can visit the Shoes on the Danube memorial. This is a must-do on your trip, it is a very thought-provoking memorial, and a way to remember those who died. We didn't go in to St Stephen's Basilica, but it is worth walking past as it is stunning - go at night too for an even better view. 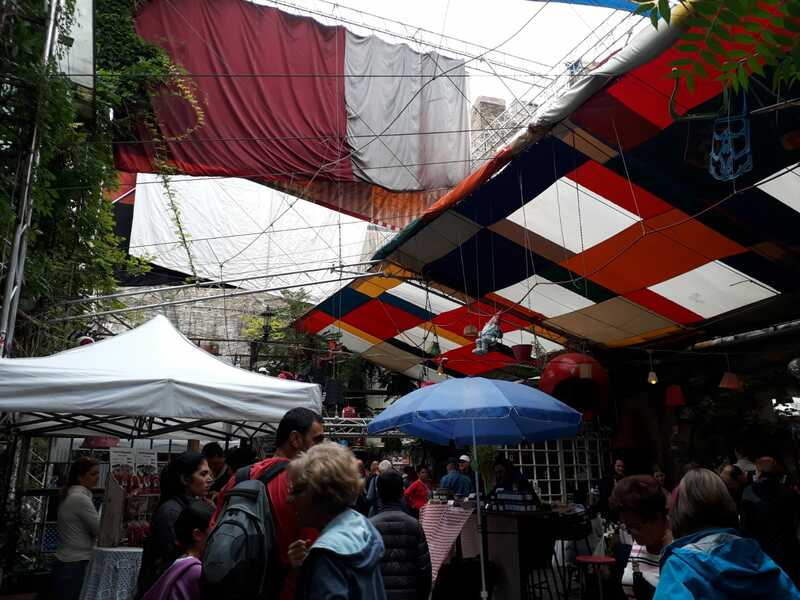 On our second day it was raining, and we decided to head to the Szimpla Kert Farmers market. Whilst we weren't there for long, it was worth a visit and very much so feels like somewhere the locals would head to on a rainy Sunday morning. I'd also recommend heading back to this ruin bar in the evenings - the beer is incredibly cheap (less than £2 for half a litre!) and the atmosphere was good. Just minutes away from the ruin bar is the Great Synagogue, which is the largest Synagogue in Europe (the second largest in the world), and it is stunning. It is such an impressive place of worship, and you can also visit a museum and memorial garden and cemetery for those who died in the Ghetto during world war two. It was a very moving experience. 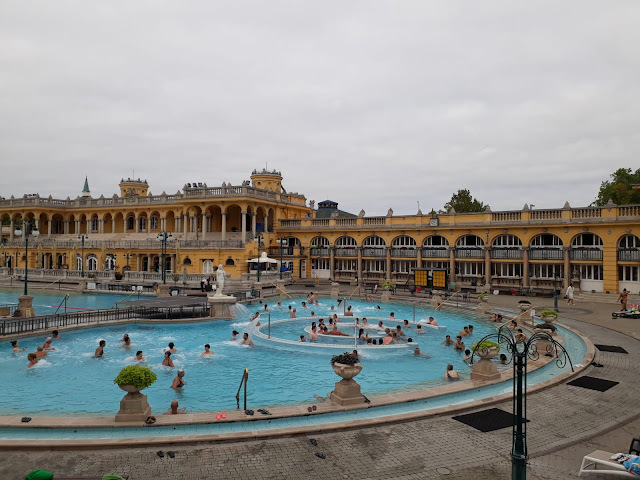 We headed up to the Szechenyi baths on our third day, which were incredible. Get there early, and book tickets before you go - we arrived at around 9.30am I believe, and we didn't queue at all. The information I found online before I went was pretty confusing, but we purchased tickets for a cabin which is basically a lockable changing room where you can leave your belongings. It felt really safe actually, and your key to the changing room also allows you to lock the safes outside by the baths so you can take any phones/money outside with you. The baths were so much fun, and we really enjoyed our morning spent here. With two main baths outside, and many more inside, there are so many different ones to try! On our final day, we headed across to the Buda side of the city for the day. We started off by taking the Funicular up the hill which offered some lovely views across the city (although, the one I went on in Prague was far better, cheaper and longer!). Once up the hill we headed towards St Mathias Church and the Fisherman's Bastion. St Mathias church was absolutely stunning - both outside and inside as well. I couldn't stop taking pictures, it was one of the loveliest churches I have been in. The Fisherman's Bastion is not what I expected, although it was stunning and offered gorgeous views of the city. 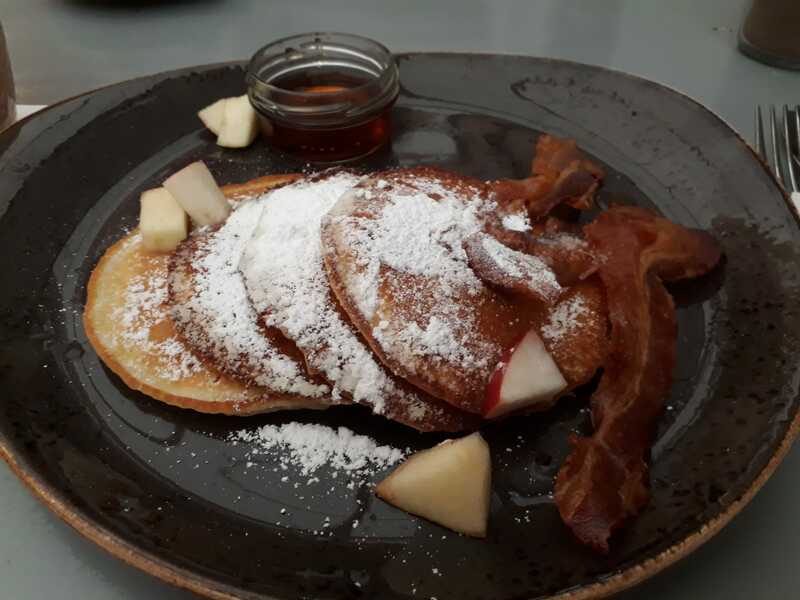 Whenever I am abroad, food is high up on the list of things to do. We ate such amazing food in Budapest, I could have stayed a lot longer! This is not said lightly as I am usually incredibly fussy and can struggle to find place to eat. A few favourites include the Hummus Bar, Vintage Garden and Kajahu. Food is very affordable in Budapest, and we ate really well whilst we were away. If you're looking for somewhere instagrammable, head to Vintage Garden. 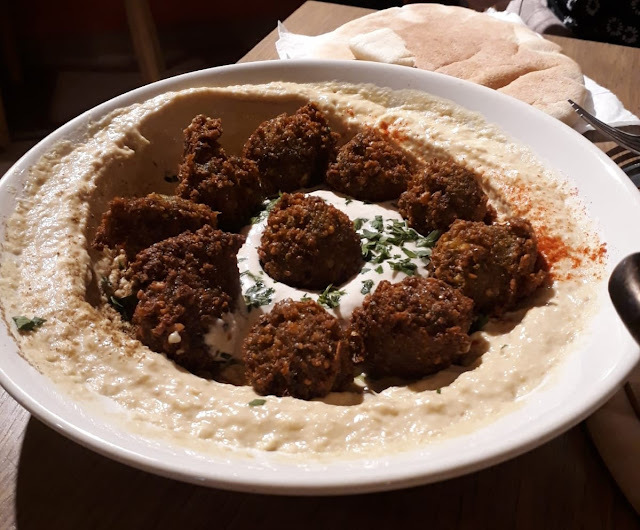 Hummus Bar is quick, easy and delicious - it's a chain too with more than one dotted around the city. Kajahu was a very modern place, and you ordered on an ipad which was underneath the glass table - very cool! Szimpla Kert is a great place to go for a beer as I mentioned earlier. 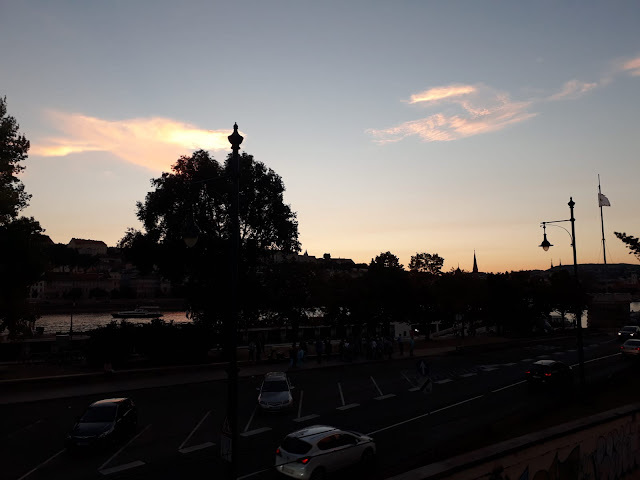 However the bar that stole the show for us was right by the chain bridge overlooking the Danube river, I believe it's called Raqpart. We had a couple of drinks there as the sun set, and it was so magical. I had the Hugo cocktail whilst Georgia enjoyed some Aperol Spritz, both of which were very affordable, especially considering we were in a capital city. I'm already looking forward to heading back for a day in June this year, before joining my first ever group tour!